Vamos a Mallorca! I found an amazing Sunweb deal for you. For only 1819 DKK (when travelling with 4 persons) you can spend 7 days on this beautiful Spanish island with a hotel, flights & transfer included– doesn’t that sound great!? The flights are with Primera Air from Billund or Copenhagen directly to Mallorca. There are various dates available in August, like we’ve listed below. The deal also includes the transfer from the airport to the hotel. While in Mallorca there are a lot of things to do. You can rent a car and explore the landscape, go for jet ski or relax at some awesome beaches. Need some inspiration? 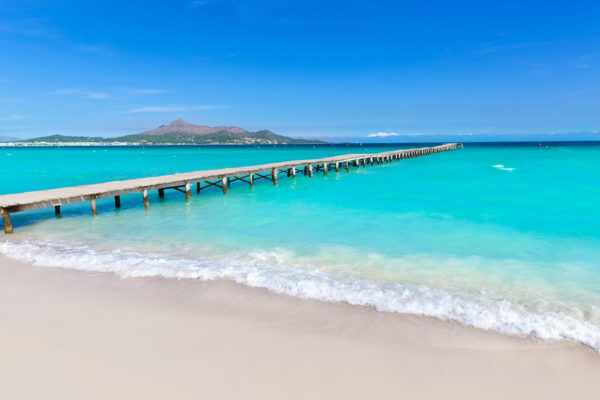 Head to my article “Mallorca beaches” to visit the most beautiful beaches on the sunny island!